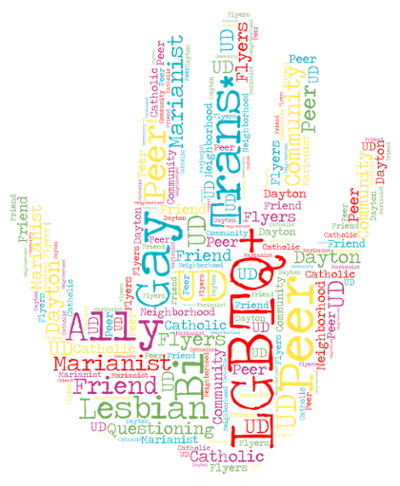 Do you want to support LGBTQ+ identifying members of the UD community? Would you like to meet students who share your experience? Do you want to make campus a more welcoming and inclusive place for LGBTQ+ identifying students? Would you like to be an ally to the LGBTQ+ community at UD and beyond? Check out ways to get involved below. Help design, implement, and publicize events & programs for your peers, and increase awareness of LGBTQ+ services on campus. Fill out the Fall 2019 application below. Ally Training is a workshop that educates individuals within the University of Dayton's Catholic and Marianist tradition, so they may better support the LGBTQ+ community. Ally Training includes experiential activities and guided discussions designed to provide knowledge, skills, and attitudes that will help you effectively ally with the LGBTQ+ community. 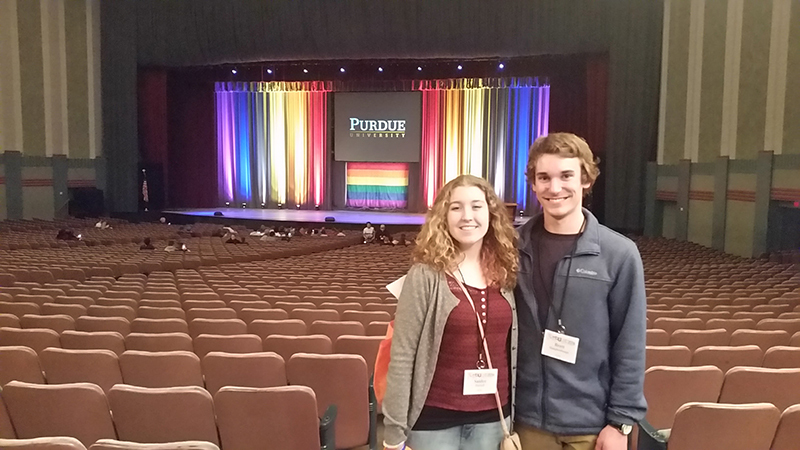 Apply for sponsored attendance to MBLGTACC, a student leadership conference focusing on LGBTQ+ inclusion. Sponsored attendees will share what they learn with the UD community through a 100-hour internship with LGBTQ+ Support Services. To learn more about Ally Training, Q*mmunity Leaders, and other opportunities, complete the LGBTQ+ Volunteer Interest Form. The University of Dayton is home to Spectrum, a student organization that promotes allyship for the LGBTQ+ community. Spectrum, UD's Gender & Sexuality Alliance, is a group dedicated to advocating for the acceptance and respect of all LGBTQ+ students in our community through creating a safe space and promoting awareness and education on campus.